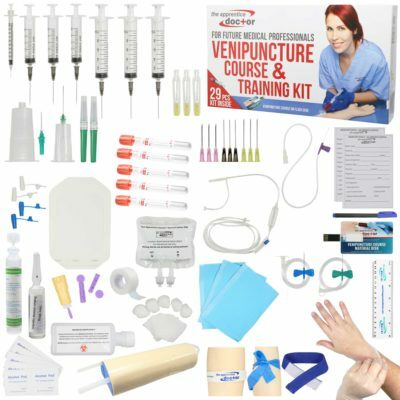 Gives you a realistic training experience allowing you to learn how to draw blood like a professional before working on real patients. High level of realism. Our simulation arm has the anatomically accurate venous anatomy for both dorsal (back of the hand) & ventral (cubital fossa) surfaces. The veins are palpable & partially visible & provide a give-feel effect when entering the vein so you feel like you are treating a live patient. 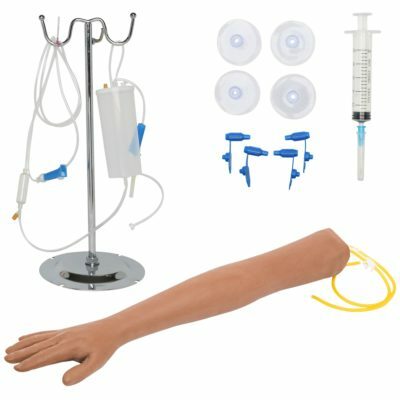 The realistic touch & feel of the phlebotomy training arm make it perfect for phlebotomy instruction & student practice. Get a real hands-on learning experience. Good quality, highly durable. 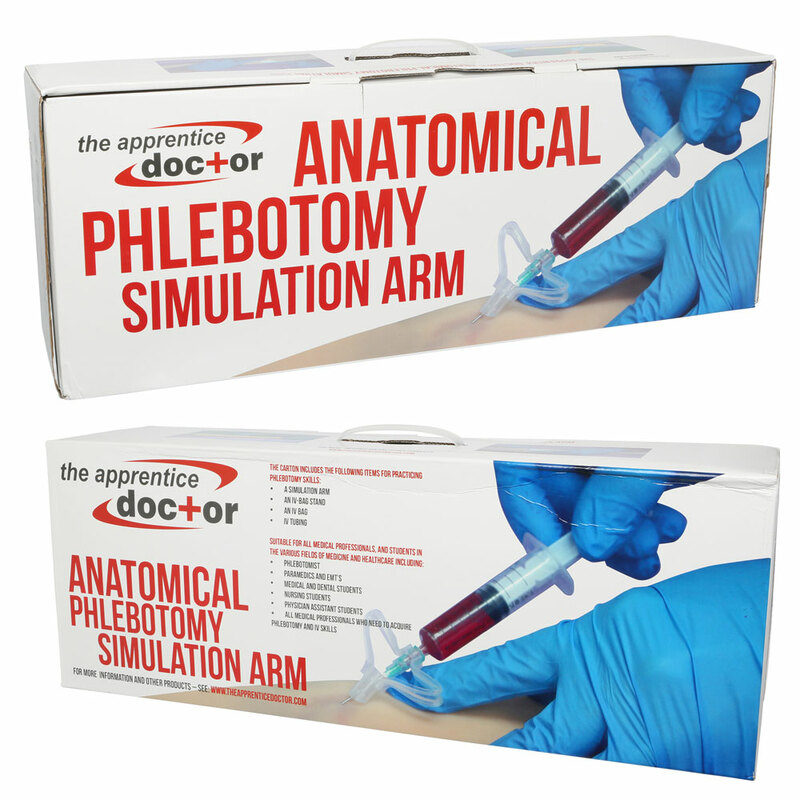 The phlebotomy arm has a durable design that lasts. The same puncture site of the skin can withstand hundreds of punctures when using small gauge needles. Our iv practice arm’s skin automatically reseals after each needle stick & the sealing process strengthens over time, so after a few months in storage, you can often use the arm a second or third year. 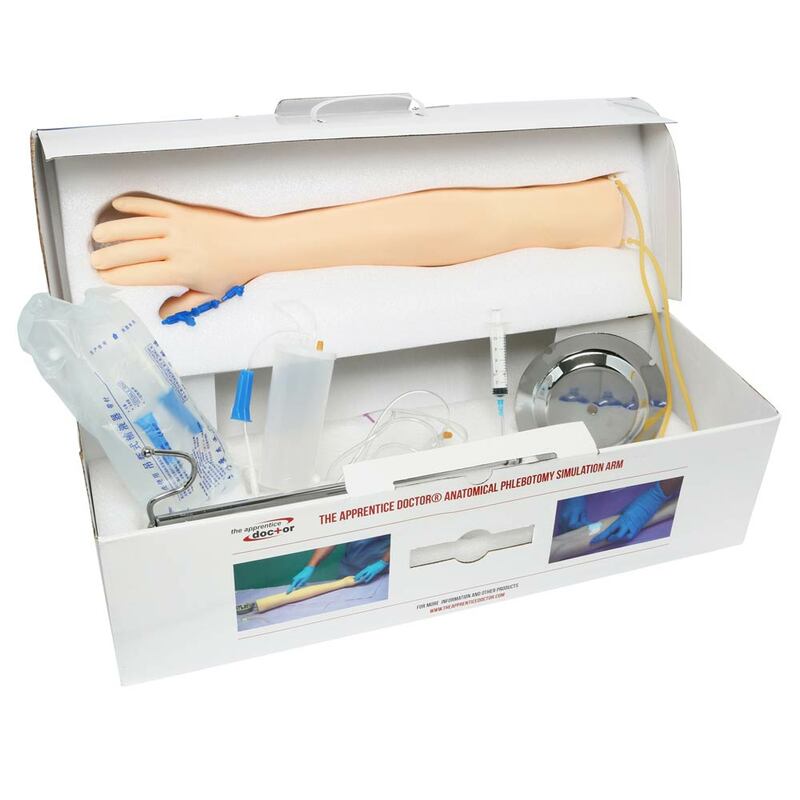 Our iv practice arms are often used in group training environments & can be used over and over again. 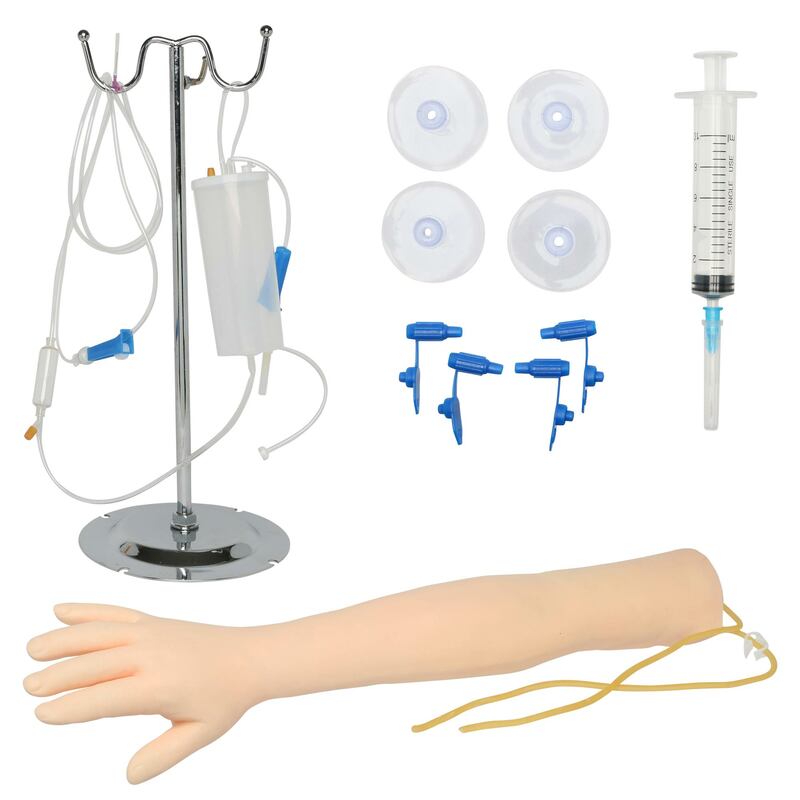 The iv practice phlebotomy arm is available in a darker skin model.